If someone told you that every time you turn on your tap to get a drink of water you are pouring poison into your glass you probably wouldn’t be so keen on drinking the resulting fluid. If you were told that the toothpaste you use each day to clean your teeth, and your children’s teeth also contained this same poison you would no doubt think very long and hard before using that product again wouldn’t you? The scary thing is that this is exactly what we are doing day to day, ingesting a poisonous substance because we have been brainwashed into believing it is good for our teeth. The facts of the matter are vastly different though, and I hope after reading this article you will all think long and hard about whether or not you might be better off buying bottled spring water and using a fluoride free toothpaste. 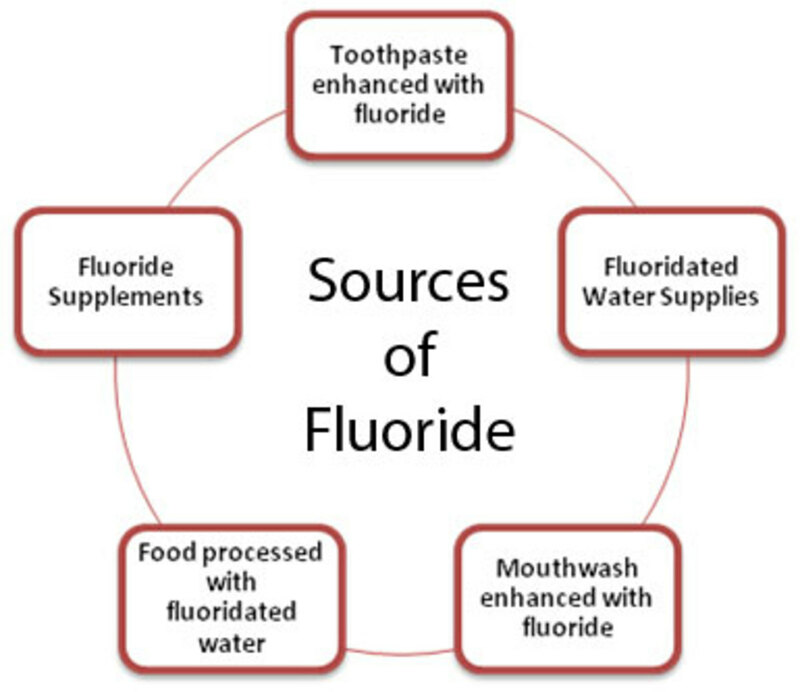 Fluoride is a pollutant – a by-product of copper, iron and aluminum manufacturing. The problem of how to legally dispose of fluoride was solved in the 1930s when a study (funded by one of the country’s largest aluminum companies) concluded that fluoride prevented tooth decay. 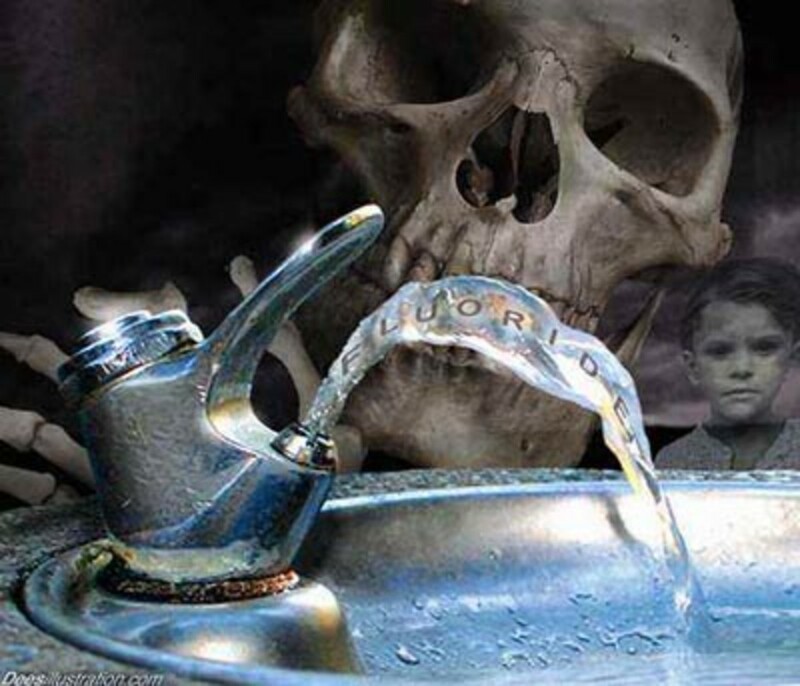 Even more alarming the chemicals most used to fluoridate drinking water are silicofluorides, contaminated waste product of industry, that were never safety tested on humans or animals. As a result what we are actually doing is conducting a massive toxicological experiment with our children as the test subjects. Silicofluorides are linked with children’s increased lead absorption. Studies link fluoride chemicals to bone fractures, lowered IQ, thyroid dysfunction, cancer, allergies and more. Why is Fluoride Bad for Me? New research proves old-time dentists’ premise was wrong. Fluoride’s possible benefits, if any, are topical. So there’s no good reason to swallow fluoride or put it into the water supply. Fluoride is highly toxic. In fact, before fluoride was deemed a “cavity fighter,” it was used as insecticide and rat poison. In fact when it comes to dental hygiene, fluoride actually does more harm than good. 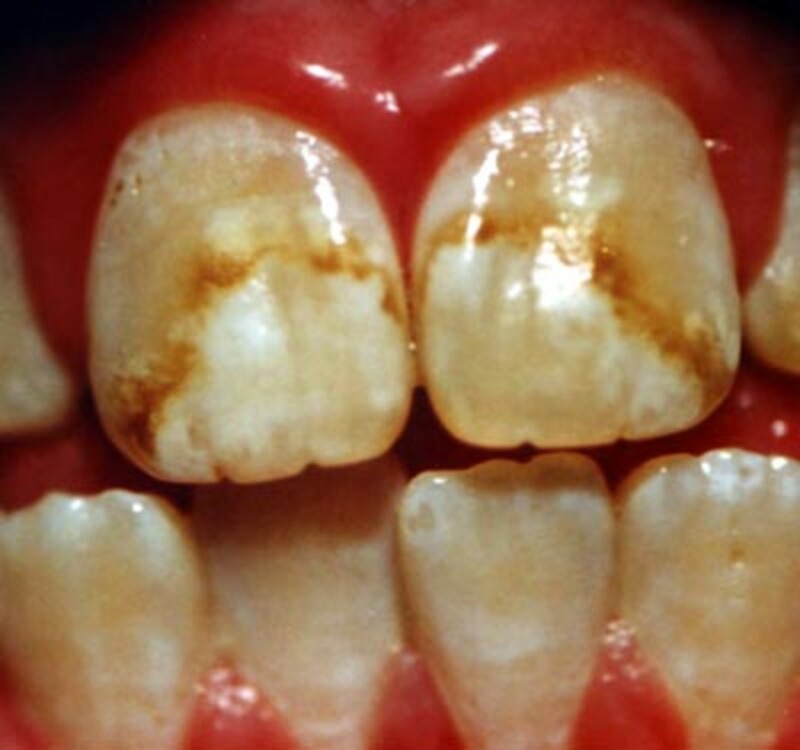 When you consume too much fluoride, your teeth can become discoloured and crumble. In tests on laboratory animals, fluoride has been shown to enhance the brain’s absorption of aluminum (the substance that’s found in the brains of most Alzheimer’s patients). Three different osteoporosis studies have associated hip fractures with fluoridation. And excessive fluoride has been shown to damage the musculoskeletal and nervous systems, leading to limited joint mobility, ligament calcification, muscular degeneration and neurological deficits. A number of different studies have linked fluoride to as many as 10,000 cancer deaths per year, with a high incidence of bone cancer among men exposed to fluoridated water. Fluoride is an acute toxin with a rating slightly higher than that of lead.According to “Clinical Toxicology of Commercial products,” 5th Edition, 1984, lead is given a toxicity rating of 3 to 4, and Fluoride is rated at 4 (3 = moderately toxic, 4 = very toxic). Fluoride is also considered toxic waste. It is one of the most bone seeking elements known to mankind. 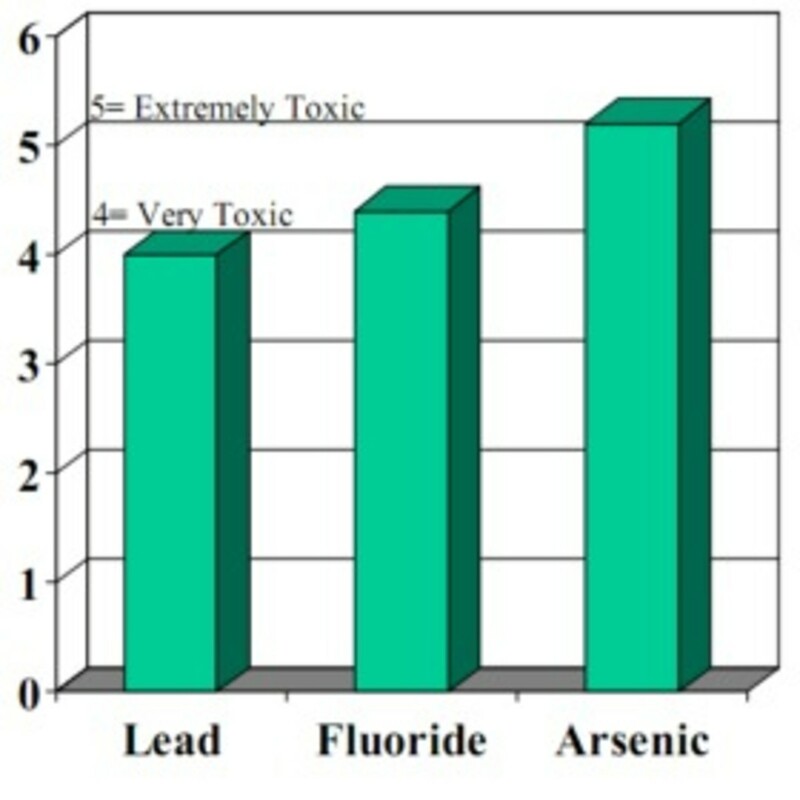 The US Public Health Service has stated that fluoride makes the bones more brittle and the dental enamel more porous. Approximately half of each day’s fluoride intake will be retained. This is what makes it so dangerous. “The dose makes the poison”. All sides agree to the fact that healthy kidneys can eliminate only about 50% of daily fluoride intake. 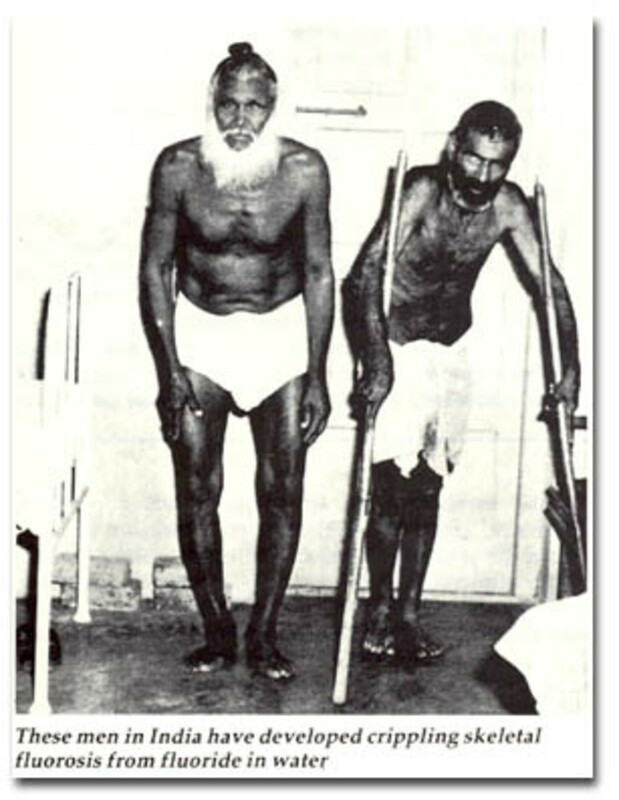 The rest gets absorbed in calcified tissues, like bones and teeth.The National Academy Of Sciences (NAS) stated in 1977 that, for the average individual, a retention of 2mg/day would result in crippling skeletal fluorosis after 40 years. Four major studies involving 480,000 children (US, 39,000; Japan, 22,000; India, 400,000; Tucson, 29,000) comparing fluoridated and non-fluoridated areas showed no significant difference in decay rates. Proven is that a higher intake of fluoride will actually cause MORE cavities, especially for children with low dietary calcium intake. which not only predisposes them to decay, but also provides a sign that systemic fluoride poisoning is taking place. Dental fluorosis appears to serve as a red flag for future bone fractures as well. There are also studies proving that fluoride toxicity affects fertility. 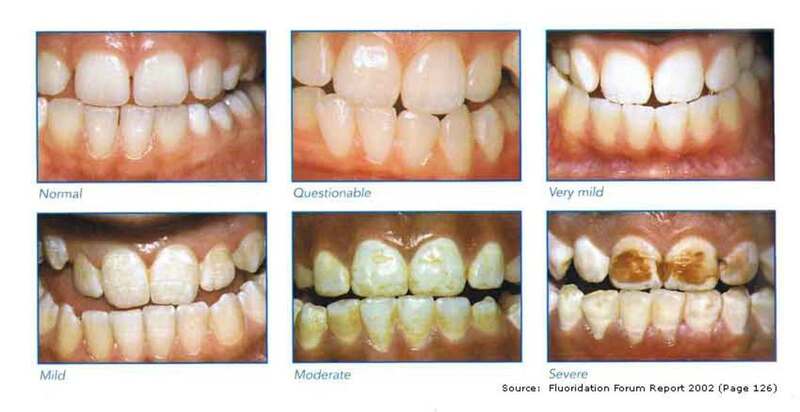 The most recognized problem with the ingestion of too much fluoride is dental fluorosis. This condition is characterized by the failure of tooth enamel to crystallize properly in permanent teeth. The effects range from chalky, opaque blotching of teeth to severe, rust-colored stains, surface pitting and tooth brittleness. Studies dating back to the 1950s have shown links between Down’s Syndrome and natural fluoridation. Ionel Rapaport also showed how the age of women bearing Down’s Syndrome children decreased in direct relation to the increase of fluoride in the water supply. The more fluoride that was in the water, the younger the age of the women bearing Down’s Syndrome children. Risk to the thyroid gland.According to the NRC, fluoride is an “endocrine disrupter.” Most notably, the NRC has warned that doses of fluoride (0.01-0.03 mg/kg/day) achievable by drinking fluoridated water, may reduce the function of the thyroid among individuals with low-iodine intake. Reduction of thyroid activity can lead to loss of mental acuity, depression and weight gain. How did the use of Fluoride ever get sanctioned then? Meanwhile, a number of court cases were being launched due to fluoride contamination, mainly by the aluminum industry. In addition the Manhattan Project, the secret atomic bomb project, was in a big race to build the world’s first A-bomb. A pollution incident of great magnitude occurred at a factory in New Jersey (DuPont) producing millions of tons of fluoride for the project. A major “negative PR” problem was emerging, threatening the Manhattan Project and the secrecy around it.In 1945, supposedly as a result of Dr. Dean’s discovery, the PHS planned to conduct a 10-year study of fluoridation in two cities. Grand Rapids, Michigan was chosen as the city for artificial fluoridation and Muskegon, Michigan was the non-fluoridated city for comparison and cavity rates were to be compared. In 1950, after only five years into the project, due again to pressure exerted from the atomic bomb program, public health officials started to campaign for fluoridation. The campaign was based on the fact that fluoridated Grand Rapids had shown some decrease in cavity rate. Meanwhile there was also a decrease in cavity rate shown in non-fluoridated Muskegon. However, Muskegon was dropped from the study for unknown reasons. After the project was completed, only the Grand Rapids result was released and a major PR campaign promoting fluoride use started. The aluminium industry were very keen to get the fluoride bandwagon rolling. They had been marketing their fluoride waste as a rat poison and insecticide and were looking for a larger market. Therefore, a ten-year test was planned to prove to the public that fluoride in water would reduce the incidence of cavities. Before the test was completed as planned, and despite the fact that there was no clear evidence that fluoride was either safe or effective, water fluoridation was declared a triumph for public health. What can I do to avoid consuming Fluoride? If you live in an area with fluoridated water, drink distilled water. Eliminate any Teflon of Tefal coated cookingware, for scratches in the surface will release PTFT, another toxic fluoride compound. Avoid fruit juices coming from fluoridated areas. Avoid using any toothpaste or mouthrinse containing fluoride. Avoid all non-organic grape products as they are especially high in fluoride content due to the number of fertilizer and pesticide applications. Wine can contain up to 3 ppm fluoride. Stop using/ingesting fluoridated tap water. Stop making ice cubes and washing produce with it and stop cooking with it. Buy a water filter but make sure it is one that can remove FLUORIDE, minerals, THMs and nitrates. Be sure to get a filter that is NSF-certified (a non-profit testing agency). Use all natural toothpaste from the health food store such as Toms of Maine. It is especially important for children to use fluoride free toothpaste since they are more likely to swallow some while brushing their teeth. Never use fluoridated water when mixing baby formula. 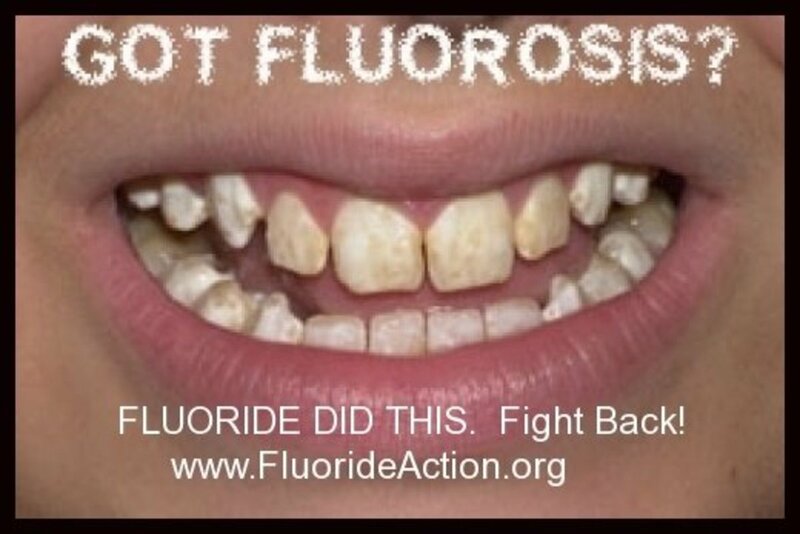 Too much fluoride accumulated in the body can cause dental fluorosis, and according to the CDC 1/3 of the kids in the US now suffer from this condition. Stop smoking, fluoride has been found in cigarettes. Be wary of tinned fish and canned food items. Fluoride may be used as a preservative. Avoid long term use of medication that contains fluorine. Certain antidepressants and medications for osteoporosis contain fluorine. Be careful of drinking too much green or black tea. Tea almost always has elevated levels of fluoride and can contribute a substantial amount to one’s total fluoride intake. If you live in a country which allows fluoridated salt to be sold, make sure that the salt you buy is unfluoridated. Consumption of fluoridated salt can greatly increase a person’s fluoride exposure. Minimize consumption of mechanically-deboned chicken. Mechanically deboned chicken (e.g. “Chicken McNuggets”) has been found to contain elevated levels of fluoride due to the incorporation of ground bone particles (which are high in fluoride) into the meat. There is also the conspiracy theory, which argues that the governments are deliberately introducing Fluoride into our food and water supplies in order to keep us docile and therefore easier to control. Perhaps the reason this belief has come about is because of the historical fact that during World War II the German Gestapo used fluoride in their Nazi concentration camps with a view to subduing their prisoners. “I was told of this entire scheme by a German chemist who was an official of the great IG Farben chemical industries and was also prominent in the Nazi movement at the time. I say this with all the earnestness and sincerity of a scientist who has spent nearly 20 years` research into the chemistry, biochemistry, physiology and pathology of fluorine–any person who drinks artificially fluorinated water for a period of one year or more will never again be the same person mentally or physically.” CHARLES E. PERKINS, Chemist, 2 October 1954. Fluoride Action Network is an international coalition seeking to broaden public awareness about the toxicity of fluoride compounds and the health impacts of current fluoride exposures. Next Post Another study linking fluoride uptake with calcified arteries.